I understand the reasoning behind rearranging all the goods in the warehouse every few days to confuse us like mice in a maze; you want us to buy things we didn't intend to buy. This might be a good strategy if it didn't just make me mad. Between your constant rearranging and changing of seasonal stock, I mostly get annoyed. It pretty much makes me want to run over people with my cart full of rice, diapers, soy and rice milk, and toilet paper. After all, a pregnant woman shopping with two small kids really doesn't need any more challenges. Really. The day was challenging enough. First, there was the hour drive it takes to get to Costco. This was preceded by one meltdown and three last minute trips to the potty. Then there were the multiple debates from the back seat over which CD we would listen to and who was smelling up the car. Followed immediately by a three-year old figuring out how to undo her seatbelt (but not how to latch it again). Then there was the herculean logistical effort involved in getting through the store a) without forgetting something and having to go from one end to the other and back twice, b) keeping my spouse moving past the electronics section, and c) making sure things in the cart didn't turn into a mobile cage fight (thanks, FMBMC for the phrase). And despite the fact your newest rearrangement made things a lot harder than they needed to be, this was a record trip to Costco (I didn't even run over anyone). But getting through the store is always only 2/3 of the challenge. Next was the ride home. And today, it was the ride home that did me in. Ten minutes out, vomit. Tons of it, and miles from the nearest exit. Fortunately, the gas station had both hot water and a recently refilled soap dispenser. And fortunately, I had packed extra pants. Still, it made for a long nerve-wracking ride home. So, please, I beg you, Costco, quit playing games. Don't make life any harder than it needs to be. I'm sure enough of us spend more money than we intended to anyway. The typical meltdown for a 2-3 year old lasts 5-10 minutes. At least this is what I hear. Pink P almost never melts down (I'm knocking on wood as I type this). Sky, on the other hand, melts down so epically and so thoroughly, that the experience can last an hour or longer. Even now. So, it'd be helpful to come up with an anatomy of a meltdown, wouldn't it? Some disclaimers. First, it's never actually possible to predict a meltdown. That's what makes them so much fun (and by fun, I mean horrifying). Second, everything you know about parenting and handling a tantrum in a younger child will usually not work when your spectrum kid is melting down. Third, the variables involved in determining length and severity of a meltdown are too complicated to untangle with any certainty. Take today's meltdown. Now, since it's the weekend and our school day routine is out of sync, I could predict that the risk of meltdown was slightly elevated. Wake up, early play time (and by early, I mean 5:30 a.m.) and breakfast all went well, though, so it looked like smooth sailing. Then came time to make beds and get dressed, and somewhere along the way, things started to fall apart. Thing is, by the end of an epic tantrum, we usually can't remember exactly what triggered it to begin with. Anyway, Sky started to resist my requests to get dressed and make his bed, then he started to yell, then to throw things (fortunately, he throws pillows mostly--we're in the process of trying to step down this particular behavior). We have three choices when Sky is in full-meltdown mode. None of them are good choices. We can ignore him(which has a 50/50 rate of success). We can try to contain him and talk him through it (also about 50/50 in terms of effectiveness). Or we can employ tough love by putting the offender and or his most beloved toys into time out. Depending on his state of mind, this can either work right away or make the tantrum exponentially worse. So we usually end up employing some combination of all three of these approaches to varying degrees of success. And after experiencing several of these meltdowns, what becomes obviously clear is how incredibly little control any of us has on them and how incredibly disruptive they are. The good news, if there is any, is that it's possible to figure out a lot of the triggers and control for them. It's even possible to intervene effectively on some. But, it's a long exhaustive process. As he gets older Sky is much better at controlling himself so he doesn't get to meltdown stage, but not always. Any spectrum moms out there with sage advice? I'm all ears! Ren is an awesome dad. He comes up with the most insane yet totally effective ideas for getting the kids to do things. Kids leave all the grapes in their bowl? Put them in a cup, add a little water, and tell them it's magic grape juice. Almost 3 year-old not ready to give up the pacifier? Pretend to eat them, thank her for the yummy food, and never let her see them again. (That day, when I got home from work, she was quick to tell me how incredibly silly daddy was, forgetting about pacifier separation anxiety altogether). Sometimes Dad's ideas misfire (usually because cultural differences get in the way). We've already established that Sky is a huge Star Wars fanatic. Dad likes to check out videos from the library but he doesn't like to sit for an hour and watch Sky play on the library computers. So on this particular day, Dad promised Sky he could watch a "new" Star Wars cartoon as soon as they get home if Sky didn't do the computers that day. Both came home happy, and Mom was proud to hear how well Dad managed to use positive reinforcement avoid a Sky-rific meltdown. 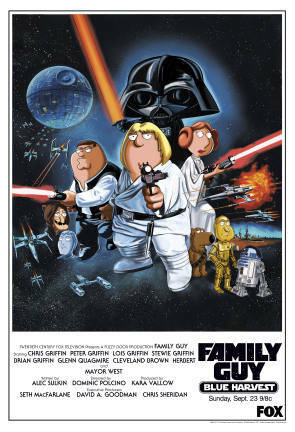 That is until Mom saw what the movie was -- Family Guy Star Wars. Sure it contains a warning that says it's not meant for children. But the writing is small and in a corner on the back of the case, and Dad was too busy keeping track of Sky to read it anyway. Now, we don't let Sky watch much TV period because either a) it zombifies him, or b)it immediately causes him to imitate what he has seen. Take Thomas the Train for example. Like every other 2-3 year old, Sky loved Thomas. Problem is that Thomas and his friends crash, a lot! So first watch Thomas crash, next watch toddler crash into walls, furniture, people, etc. Turns out Sky identified a tad too closely with Thomas. 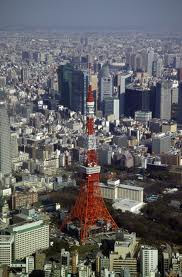 Walking through the streets and train stations of Tokyo, this became a major issue. All the bumpy strips (for the visually impaired) that run down the middle of sidewalks and through station concourses look a lot like train tracks to a 3 year-old autistic kid who believes he's a train. So, first we'd hear the extremely realistic sound of a train releasing steam, and then he'd be off following the strips (which never take shortest route and which usually didn't go where we were headed). We only really lost sight of him in the crowd once (at Shinjuku station), but by then, he already had a tag pinned on him with his name, address, phone number, and a message that said he didn't speak much Japanese. Of course, we didn't know he was autistic at the time, but I suppose this could explain why whenever he was uncomfortable in a social setting or whenever he wanted to make a new friend, he suddenly turned into a human train, usually to humorous effect. Want to impress the group of 20 college women at the next table at Olive Garden? Give them your best high decibel train whistle. Upset that the pastor is pouring water on your baby sister's head (i.e. baptizing her)? Toot at him, loudly, just as he closes his eyes to say a prayer. Uncomfortable when new people come to the house for dinner? Run in circles imitating a train, station stops and all. So, yeah, anyway, television can be a problem at our house. Thing is, autistic kids don't process unexpected change well, and when it comes to Star Wars, there is no reasoning with Sky anyway, so not watching the movie Dad promised was not an option. After all, Sky had done a really good job on their errands. Worried about the foul language and the sexual overtones,I made Sky promise that he would under no circumstances repeat the words or imitate what he saw. "OK, Mommy," he promised, puzzled as to why I was so worried about a Star Wars movie. When I sat down to watch with Sky (to do damage control or stop the movie altogether if necessary), I had to laugh. I mean, there was a lot of inappropriate content for a kid his age, but the only thing he even noticed was the "bad" word "stupid." And when he heard that, he exclaimed: "Mom, he just said a BAD word! Don't worry, I never say stupid!" He was so enthralled with the space ships and the familiar characters, he never even registered the other stuff (though it didn't hurt that I fast-forwarded through large sections of the movie whenever Sky left the room--something he is prone to do whenever the music crescendos). It also didn't hurt that I told Sky Pink P was too young for it and "disappeared" it altogether the minute she got home from preschool. This incident reminded me of the first Father's Day we celebrated after moving to the US, when Big Sissy was still in high school. Back then, she met weekly with an English tutor, which turned out to be a very fortuitous thing. On the way home one day, she said, "My tutor told me to show you the present I got for Dad for Father's Day," and pulled out a key chain. We're lucky I didn't crash the car. In bold sparkly letters, the key chain said "Sugar Daddy." Thank you tutor for your intervention! We learned a couple of months ago that Sky is "on the spectrum" as they say. He's always been a challenging and quirky kid, with social skills that couldn't come close to matching his above-average intellectual and physical development. But he's also been raised bilingually and bi-culturally, spending two years of his life as a Japanese kid in Tokyo and four as a good ol' Midwesterner in the U.S. of A. It's enough to make anyone a little odd. 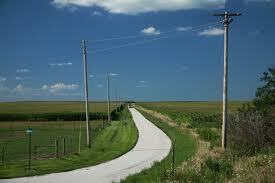 Fast-forward 18 months, and we are back in rural USA. The first thing I noticed when I got back was that every kid I met Sky's age had some kind of diagnosis, and my initial response was to think that there is probably no such thing as a fully-functional preschooler--if you take a preschooler to the doctor and run some tests, wouldn't any one of them fall into some kind of diagnostic category? After all, preschoolers have a lot going on. Sure we remained concerned about the magnitude of Sky's epic meltdowns and the fact that he sometimes just didn't seem to hear or understand us. Sure we wondered when he would get better in social situations and at interacting with kids his age. But pediatricians in Japan and the US said that he was a clever, socially-awkward boy dealing with two different languages and two different cultures and that things would balance out eventually as long as we were consistent in our parenting. So we waited. And we beat ourselves up for being bilingual and bi-cultural and for living in two countries. And we beat ourselves up for the very fact that our partnership in parenting seemed to *make* Sky this way. When Sky started kindergarten and his new teacher asked me once again if we'd had his hearing checked (we had;it was fine), and when Sky told me he really didn't like school because he always got in trouble but didn't know why. And then when he told me he didn't like himself because he had a "bad brain" and other kids made fun of him. And when I saw him tracking slightly behind his peers in any given social situation, I started to think that it wouldn't be so bad to get tested. After all, we didn't have to accept the labels the doctors assigned. And so one day last December, we spent seven hours at the state's best children's hospital and they told us what we had already pretty much figured out; Sky is "mildly" autistic. I had never heard of PDD-NOS, but when I did, it fit perfectly. It literally explained everything. No one wants to hear that her kid is autistic, but to be honest, my first response was a sense of relief bordering on joy. Understanding how Sky sees the world has helped me understand a bunch. Knowing that we were actually doing a darn good job given the challenges has freed us from a lot of frustration and guilt. Being able to tell his teachers that there are really good reasons for why Sky interferes, ignores, or disobeys and then exhibits total shock and lack of understanding when he is punished has literally changed his school experience. Autism is a life-long challenge, and we have our share of days when we wonder if we are up to the task, but knowing what makes our kid so quirky and hard and great all at the same time has helped a lot. My old blog is defunct, so here are a few posts from the fifteen months I spent rearing a 3-4 year old and a 2 - 17 month old in Japan. I have started making my own baby food. This is not, as some of you might assume, an attempt for me to get off of the "Bad Mom" list. It's a purely economical decision--a jar of baby food costs approximately a $1.50. Granted these appear to be healthy choices, and who can turn down "Kewpie"? In our pantry right now (for those days when I just don't have time or ingredients to make my own food): Rice Porridge with Fish and Seaweed, Stewed Chicken Liver, Risotto with Flounder and Vegetables, Meat Dumpling Stew, Chinese Tofu and Steamed Fish, Tuna Tomato Risotto, Rice Porridge with Chicken and Root Vegetables... What I make is not nearly as good, I assume, but Pink P seems to like it! If the making of my own baby food edged me closer to getting off the "Bad Mom" list, I am sure the fact I completely missed Pink P's six-month check up places me promptly back at the bottom of the pile! See, here they do immunizations separate from well-child checks, and I didn't really realize this. I had wondered about it but didn't really read the materials the city health center had given me very carefully (it was all written in Japanese, after all). When I finally got around to investigating, it was time for her 9-month check. Yikes! Of course, when I took her for her 9-month check, the doctor was kind enough to point out my error. Thanks, thanks a lot. When we first moved to Tokyo, I received a disaster preparedness manual for dealing with earthquakes. It was at once funny (reminding us to yell "Earthquake! Turn off the gas!" at least three times when we feel a major quake occuring and telling us to begin rebuilding our community the third day--no sooner, no later--after a major earthquake) and quite sobering. It is very specific as to how phone services will work, how traffic will be diverted, where our meeting points and evacuation centers are, etc...At my son's kindergarten, all of the kids have emergency cushions. These crack me up (and frighten me at the same time) because they are very thin square pillows (only about an inch thick) that the kids are supposed to use to cover their heads in the case of an earthquake. Helmets would make a lot more sense, don't you think? I should confess that Sky went to school with a princess band-aid on his toe today. He seems to like Ariel from The Little Mermaid the best (he's already used three of the Ariel band-aids). He calls her "the princess with lots of water." If the teacher noticed it when she made him change his mud-filled socks this morning, she didn't mention it. When we found out Pink P was going to be a girl, I have to admit I panicked a little. What if she was into tea parties and princesses? I mean, I was the ultimate tomboy, and pink is one of my least favorite colors. What would I do with a girly girl? Before she was born, I set out to buy gender-neutral-colored clothes (I did the same thing with her brother), picking a lot of greens and browns. Still, I began to supsect my efforts were in vain when we were picking out plates for Sky's birthday (six weeks before Pink P was even born). He was torn between Thomas, Animal Planet, and Princesses! We ended up going with Thomas, but it was a toss up! On the day of Pink P's baptism, her brother was ecstatic. "She's a princess!" he said. How sweet, I thought, until I realized his excitement came from the fact that she was wearing a dress. He promptly took a look up her skirt. Recently he has taken to tying his blanket around his waist so that he can be a princess. [Lest you are worried, he does also tie his blanket around his neck and pretend to be Super Why (from PBS) or Anpanman (a flying beanpaste bun super hero that is popular with his age group here--don't ask)]. Irony of all ironies: the other day, I found myself saying, "Just wait until Pink P gets bigger. Then you guys can play princess together."